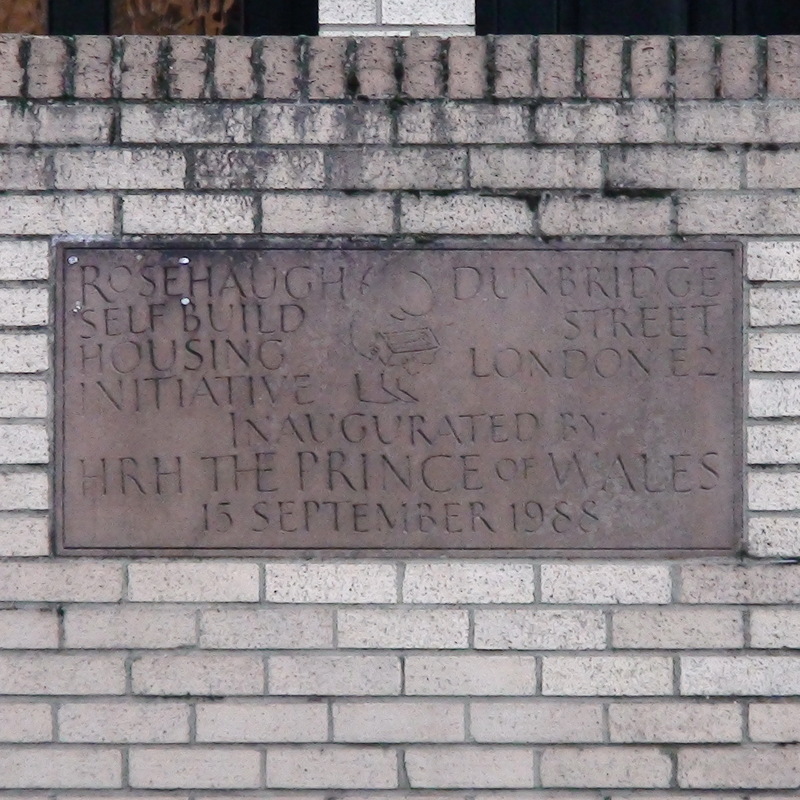 Rosehaugh Self Build Housing Initiative, Dunbridge Street, London E2, inaugurated by HRH the Prince of Wales, 15 September 1988. The drawing is surely by Mel Calman but we can find nothing to connect him with this development. 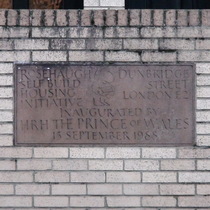 This development covers the whole block. From this National Archive entry we think the full title was "Rosehaugh Stanhope self-build housing initiative for the unemployed". Unrelated but interesting: Just the talk informs that the Krays' family home was on this site, at 178 Vallance Road and the twins continued to visit their mother here until she left in 1967. Patron of the Goon Show Preservation Society.